There has been a rash of super-volcano (Yellowstone) survival/prepper stories out there and this middle-grade (although I think it was aiming for young adult) story is, by far, one of the best ones out there. Great GSP (grammar, spelling, and punctuation), and very interesting teenage protagonists. This is also a series, but Ashfall itself, is an entire novel. It provides a resolution and hooks the reader into picking up the next in the series. 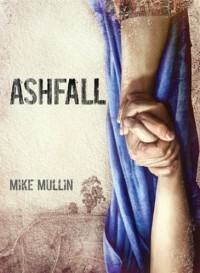 I read my copy of Ashfall via Oyster.